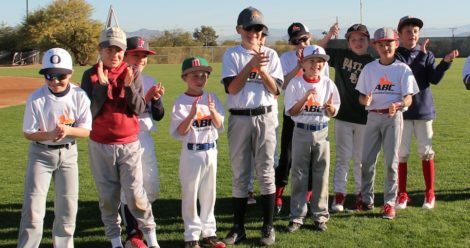 UC San Diego Baseball Camps in beautiful La Jolla, California are dedicated to providing a baseball camp that is both instructional and information along with creating a great atmosphere to learn! The coaching staff here at the UC San Diego prides themselves on teaching the game of baseball to players of all ages and ability levels. The mechanics and drills that are taught at our camps are used with our college players. We are determined to provide the best possible learning experience for our campers. This camp is a great opportunity for prospective college baseball players to work with and be evaluated by the UC San Diego coaching staff. Each player will get top notch instruction from the coaching staff that has lead the Tritons to back to back regional finals appearances and developed numerous All-Region and All-American players. The camp will include skill evaluation, simulated game, and live game play. If you are a pitcher only, we will host a separate camp for you on day 2. You will check in at 7:30am and from there will be taken through a day in the life of a Triton pitcher. You will pitch in the scrimmage and be evaluated by the coaches as well as, arm care, throwing routines, weights and conditioning talks, and other activities performed by Triton pitchers on a daily basis. Your camp will end at 1:00pm with the rest of the camp. Each camp participant must bring his own baseball equipment. Players should bring a glove, bat, helmet, cleats/spikes, running shoes or turf shoes, hat, and any other equipment they feel necessary to compete. Dinner will be provided on Saturday. There will be an athletic trainer present on both days with water and ice available. 12:15 p.m. check in on Day 1. 7:30 a.m. check-in for pitchers on Day 2. Campers will receive a UCSD Baseball Camp T-shirt. Due to the popularity of our camps and demand for camp slots all refunds and future camp credits will be handled on a case by case basis. Requests must be sent to Matt Harvey at mharvey@ucsd.edu. America's Baseball Camps is proud to announce an outstanding opportunity for any baseball player wanting to make a commitment toward the next level of the game. Come work with an outstanding group of instructors striving to advance your knowledge and skill in the art of hitting. Our staff of former and current professional players, coaches and scouts are extremely experienced and have one common goal: to provide you with the tools necessary to produce a more effective and efficient swing. Ages: 5-13 | Times: 9:00 a.m. - 3:00 p.m.
Campers receive a Triton Camp T-shirt. Lunch can be purchased each day for $10. If you do not want to purchase lunch, please send with your camper each day. As camp approaches we will send out an email with the meal plan for the week. We will have snacks and drinks for sale at camp each day Snack punch cards available for purchase on day 1 of camp. We will have a first aid staff member and water will be provided. Check in begins at 8:15am on Monday behind home plate. The remainder of the week drop off will begin at 8:30am, but campers do not need to arrive until 9:00am. Triton Ballpark on the campus of UC San Diego Map and directions provided on our camp website. Parking is not free. If you are staying, make sure you purchase a ticket through one of the automated machines. *Please note if you choose to pay the Deposit, the balance will be charged automatically 2 weeks prior to the start of the camp on July 16. All Campers should check in at Triton Ballpark by 8:30am on the morning of the July 30th. Hitting campers will check in at Triton Ballpark by 12:30pm on the 29th. If you are a pitcher only, we will host a separate camp for you on day 2. You will check in at 10:30am and from there will be taken through a day in the life of a Triton pitcher. You will pitch in the scrimmage and be evaluated by the coaches as well as, arm care, throwing routines, weights and conditioning talks, and other activities performed by Triton pitchers on a daily basis. Your camp will end at 6:00pm with the rest of the camp. 1:15 p.m. check in on Day 1. 10:30am check-in for pitchers on Day 2. This camp is a great opportunity for prospective junior college baseball players to work with and be evaluated by the UC San Diego coaching staff. Each player will get top notch evaluation from the coaching staff that has lead the Tritons to back to back regional finals appearances and developed numerous All-Region and All-American players. Each camp participant must bring his own baseball equipment. Players should bring a glove, bat, helmet, cleats/spikes, running shoes or turf shoes, hat, and any other equipment they feel necessary to compete. Lunch will be the responsibility of the participants, while water and ice will be provided by our Athletic Trainers on staff. * Please mark all your equipment; we are not responsible for lost or stolen items. Camp Check-in: Check in for camps will begin 30 minutes prior to start time. 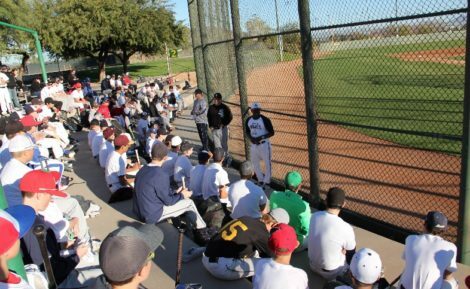 San Diego baseball camp this summer! America's Baseball Camps and the University of California San Diego have teamed up to bring you our 16th annual San Diego Pro Baseball Camp. In 2010, the UCSD baseball team won a second consecutive NCAA West Regional Championship. We are excited to welcome 2012 CCAA Coach of the Year, Eric Newman along with other professional instructors for this amazing week of baseball. Campers will be broken into groups by age and ability levels. Joe McDonald: Head Coach Boulder Creek H.S. Former Coach W.O.U. All Campers should check in at Triton Ballpark by 8:00am on the morning of the June 21st. Attention High School players, join us in San Diego to be seen! University of California San Diego & America's Baseball Camps and the have teamed up to bring you our College Prospect Baseball Camp. In 2017, the UCSD baseball team won another NCAA West Regional Championship AND finished as the National Runner-UP. We are excited to welcome CCAA Coach of the Year, Eric Newman along with San Diego State, University of San Diego, Pt. Loma, San Diego Christian and more for this amazing three days of baseball. Players will be evaluated and train daily at the beautiful Triton Ballpark, home of the UC San Diego Tritons. Don't expect to stand around! Just as in college baseball, we will spend our training time on evaluating times, techniques, skills and live play. Players will spend up to 20 hours with our professional staff while receiving verbal assessment of their skills throughout the week. The goal for our staff is to provide you feedback and where you stand in taking your game to the next level and beyond! You will get honest feedback and you will improve your game and skill set. Campers will be broken into groups by age, grade and ability levels. Joe McDonald: Former Head Assistant Coach W.O.U. All Campers should check in at Triton Ballpark by 8:30am on the morning of the June 20th. Next level evaluation and live recruitiing! 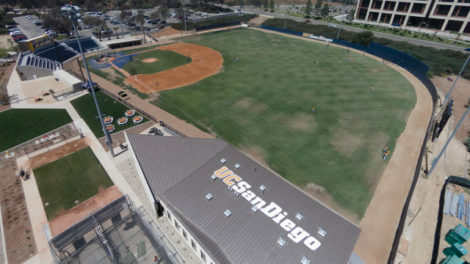 The UCSD Baseball Summer Prospect Camp is a great opportunity for prospective college baseball players work with and be evaluated by the UC San Diego coaching staff. Each player will get top notch instruction from the coaching staff that has lead the Tritons to three regional finals in the past four years as well as a National Championship Game Runner-Up. Multiple players over the past few years have received All-Conference, All-Region, All-American, and professional baseball careers with the assistance of the coaching staff. The camp will include skill evaluation, individual and group instruction sessions, and game play. Each camp participant must bring his own baseball equipment. Players should bring a glove, bat, helmet, cleats/spikes, running shoes or turf shoes, hat, and any other equipment they feel necessary to compete. Lunch will be provided each day as will water and ice from our Athletic Trainers on staff. * Please mark all your equipment; we are not responsible for lost or stolen items. Camp Check-in: Check in for camps will begin 30 minutes prior to start time each day. All Campers should check in at Triton Ballpark by 12:30pm on the 9th. We will be conducting an extensive Hitting Camp on July 9th from 1:00pm-5:00pm. This camp will cover every aspect of hitting and is a great way to "kick off" the week. *Please note if you choose to pay the Deposit, the balance will be charged automatically 2 weeks prior to the start of the camp on June 26. All Campers should check in at Triton Ballpark by 8:30am on the morning of the July 10th. Hitting campers will check in at Triton Ballpark by 12:30pm on the 9th. All Campers should check in at Triton Ballpark by 12:30pm on July 30th. We will be conducting an extensive Hitting Camp on July 30th from 1:00pm-5:00pm. This camp will cover every aspect of hitting and is a great way to "kick off" the week. All Campers should check in at Triton Ballpark by 8:30am on the morning of the July 31st. Hitting campers will check in at Triton Ballpark by 12:30pm on the 30th. Each camp participant must bring his own baseball equipment. Players should bring a glove, bat, helmet, cleats/spikes, running shoes or turf shoes, hat, and any other equipment they feel necessary to compete. Dinner will be provided on Saturday. There will be an athletic trainer present on both days with water and ice available. Please mark all equipment, we are not responsible for lost or stolen items. Check-in: 12:15pm check in on Day 1. 7:30am check-in for pitchers on Day 2. Winter Middle School Camp offers 12-14 year old players the chance to learn from Triton coaches through specific training and drills, as well as compete against their friends and teammates in games. Camp will be help under the lights of Triton Ballpark! Day 1 we will give the players their first opportunity to go through what is known as a pro-style workout. This means we will see how fast they are and evaluate their defensive and offensive skills. This is the type of thing that is done at every college showcase and what a lot of players will do for professional teams prior to being drafted or signed professionally. Our goal will be to get them used to this while coaching them on how to handle this situation. Games we will scrimmage to with 90 foot bases to allow the players to get used to that. We will also play games including over-the-line (focus on quality defense and hitting the ball up the middle), two-base (requires defensive positioning and communication as well as offensive strategy and directional hitting), and coach/player pitch scrimmages. Check in begins at 2:15pm on Saturday behind home plate. Sunday, drop off can begin at 2:30pm, but campers do not need to arrive until 3:00pm. Each camp participant must bring his own baseball equipment. Players should bring a glove, bat, helmet, cleats/spikes, running shoes or turf shoes, hat, and any other equipment they feel necessary to compete. There will be an athletic trainer present with water and ice available. Please mark all equipment, we are not responsible for lost or stolen items. Check-in: 30 minutes prior to start time. To register for one or both of these sessions, email Matt Harvey at mharvey@ucsd.edu with the session(s) you would like to sign up for, the participants name and age, an emergency contact phone number and which local league the participant plays in. Get ready for your Spring Baseball season with skills and drills from Triton coaches and players. 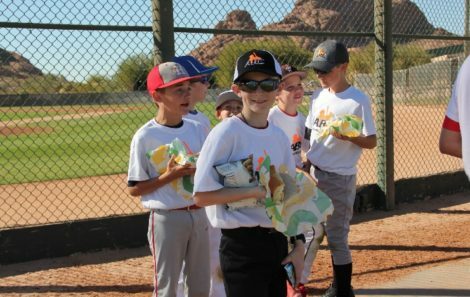 Games - we will play games including over-the-line (focus on hitting the ball up the middle), two-base (offensive strategy and directional hitting), and modified coach pitch scrimmages. 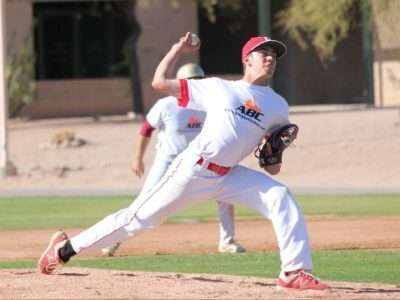 Learn the wind-up and stretch, proper mechanics for a repeatable pitching delivery and arm action along with drills designed to challenge your balance and body control. Great for beginners and advanced pitchers. There will be a sign in/out sheet for parents. Bullying will not be tolerated at any Triton Baseball events including Youth Camps. Any instance of bullying will be taken seriously and handled by the camp director. UC San Diego Baseball has the right to remove any camper involved in bullying from the remainder of camp for the day with no refund. Check in begins at 12:30pm for hitting and 2:45pm for pitching. Camp will be conducted at: Triton Ballpark on the campus of UC San Diego Map and directions provided on our camp website. Parking is free on the weekend.